Have you read Lincoln in the Bardo? Author George Saunders is a Buddhist, and this award-winning novel is a Buddhist fable. It is a wonderful story, and a great teacher for those on a spiritual path. Your reactions to the story as it unfolds will point you to your particular versions of attachment, grasping and suffering. My own reactions to the story began almost immediately, as Saunders embarks on his story-telling by placing the reader…. ‘Who knows where this is?’ None of the familiar landmarks of the novel’s form are in evidence. Drifting along without plot, story line, or dialog, one is mystified by the strange images and vocabulary. Nothing comes along to offer comfort as the story moves through an unfamiliar landscape. Saunders, in form and content, invites us into a realm where our preconceptions fail us and we are left to sink, or take off, swimming through the unknown. This realm of not-knowing is the bardo of the novel’s title. In traditional Buddhism, a bardo is the transitional space between death and re-birth, filled with spiritual tasks and meaning. The transition between birth and death, this state we call life, is a bardo too. 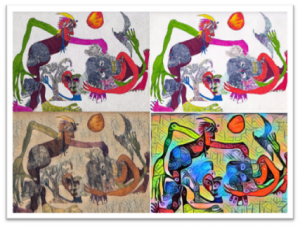 Bardos arise within our lives, when a mind state of relative clarity disintegrates, and we are thrown, sometimes momentarily, sometimes for years, into the transitory and amorphous, before we adapt to the changed reality. We may enter a bardo when we lose a job, move to a new city, have a baby. 9-11 was a bardo for many of us, recent political elections too. But so are those times when the printer breaks down, or a major project in which we have been immersed is over. When we find ourselves in unfamiliar territory, whether it is wonderful or terrible, monumental or incidental, we are vulnerable to feeling unsteady, unsure of how to navigate. There is great spiritual opportunity in every bardo. Foremost, the path of wisdom encourages us to let go here. Two simple words that when combined, suggest what can seem impossible: Let go of believing our reactions. Keep walking forward, over the side of the proverbial cliff into the unknown, trusting the fall and opening to having our limiting beliefs cracked open on the way down. I entered a bardo when I downsized my living space. For weeks prior to moving day, I was caught in dread and doubt about the decision to change everything. I was bereft, I felt lost in the uprootedness. Within days of the move, the new place felt like home to me, and watching myself land in such a different emotional space, something did crack open. I saw that my feelings about my “home” and my experiences of loss and gain are just as transient as the living spaces themselves. Why get attached to temporary things like living spaces? My likes and dislikes were feeding my delusions of permanence. When the unimagined becomes real, there is the possibility of seeing that the world is never dependable, never a known quantity. Things are always morphing out of “control,” away from the possibility of constancy. The only constant in this realm of the material is that we are nothing fixed, we have nothing fixed, we know nothing fixed. When the black or white or gray categories we have relied upon fail us, we mobilize our minds in order to quickly recover seeing with the ego’s eyes, hearing with the ego’s ears, understanding with the ego’s consciousness. We return to what we know; strong opinions, fearful future imaginings, grief, caretaking, addictions, working harder. Our ideas and beliefs begin to feel secure again. We figure it out, put being rattled behind us, and life goes on. Life must, of course, go on, diapers must be changed, boxes unpacked, political opponents opposed, borders protected. Yet for those on a spiritual path, the opportunity to look beyond the familiar world of our own making is gained or lost within experiences of discontinuity. Our habit of returning to life as usual from the rupture of day-to-day bardos makes death the greatest bardo teacher, for death cannot be avoided. The bardo of life will transition into death for us all. Saunders carves a bardo from the territory of the almost-dead. His bardo is teeming with characters whose bodies decay in their coffins while their minds, constellations of disembodied energy, hover just above the earth. Relying on whacky mental gymnastics, they persevere in defining themselves by their embodied past. Some cling to parenting roles, others are attached to the utter beauty of the world, or attached to possessions, to being in the limelight, to getting the love they sought in life. Others continue killing, stealing, or aspiring to be forever young and attractive. The variations are endless. Saunders’ compassion for his ghostly subjects shines through. His humor, his acute observations of life and the infinite possibilities for clinging to it make for a light-heated yet instructive read. The beings in Saunders’ bardo trust only that which has shaped them in a material world. He suggests to us, his readers, that we too, when we operate from our personalities, risk staying tied to the delusion that what we think and feel and know is all there is. His wild and fantastic ghosts whose in-between-ness consigns them to terrible suffering, show us what it looks like when we get stuck in the old even as we move, inevitably, into the new. Angels come to offer encouragement to Saunders’ ghosts, chanting, “You are a wave that has crashed upon the shore.” The story he weaves shows the benefits to be had when we can accept, not fight against or grasp at the dynamic arc of our life’s wave, acknowledging the eventual oceanic dissolution of body and mind, symbolized by a fluid, crashing, dissolving wave. We deepen our ability to step into the profound unknowns of the BIG bardos when we can recognize, tolerate, and even learn from the smaller bardos that are ours to contend with in everyday life. The surprises we can’t control, the slow march of age and its decays are good teachers. Many of my peers are pondering retirement from wage labor. They, as did I a few years back, weigh questions of when…. how….and whether they can afford to quit working. A wave is breaking on the shore. More than any birthday, my retirement brought me face to face with the passage of time, and the truth of my impermanence. Death felt closer at hand here. I clutched at the familiar, unable to relinquish my ego eyes, ears and mind. Instead, I entered an “almost-dead” bardo. I floated around, professional life over, yet afraid to let go of my old identity and status. Like the ghost in the novel who wears a permanent look of terror on his face, hair standing on end, retirement left me in a hell my ego fashioned to fill the emptiness of all that was new, raw, unformed. I could not sit still in the emptiness. Nor could I imagine a heavenly outcome, one in which this ever-changing journey would carry me toward wisdom and heart-knowing. My struggle with retirement wasn’t the last time I have found myself in the bardo with all those struggling and delusional characters in Saunders’ book. I share the suffering of the ghosts, and of my retirement-age peers who want to control and manage the changes and the losses, break the fall. The very concept of a bardo helps me to know that I am not alone in finding change, and the multiple deaths it spawns, a source of profound dislocation. If we did not so value our lives as we have constructed them, then letting go would not be the spiritual project it is. The suffering caused by impermanence turns me toward the spiritual knowing that practice offers. 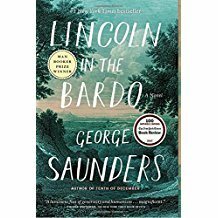 President Lincoln in Saunders’ novel shines a light on the path through the bardo. The story unfolds with Lincoln living out his experience of terrible grief for his young son, now dead, and for the multiple Civil War dead, all deaths for which he feels responsible. As a father and a leader, steeped in grief, Lincoln is cracked open. He sees the whole of life and its sufferings, and the truth that nothing in this life is permanent. All is fleeting and without lasting value. He sees that he, his son, all people, are waves, crashing on the shore, and that all of us suffer this fleeting existence, none more special than another. His acceptance of impermanence and his release from attachment to his son’s life and all life is re-organizing for him and for all those ghosts who have gathered around him. His newfound wisdom and insight send waves of liberation through the bardo. Lincoln’s path to awakening is a juicy bite of practice for students of the Buddha. Our discipline of silent sitting, study, and surrender to the truths the Buddha taught deepen our ability to let go of the transient stuff of life. When we know that life has no lasting value, we achieve the vantage point that the fictional President Lincoln has. We develop our capacity, even when things fall apart, to walk through each moment, doing what needs to be done, being present to life as it is. The ruptures life brings, however, challenge the equanimity of all but the most practiced among us. When we find ourselves unmoored, our work is to find out where we are. Is this arousal triggered by a change that has ripped down the veil of delusional permanence? If so, one then has a context for investigating one’s responses. Knowing that suffering emerges from the ego attachments we hold dear is a precious investigative tool. We discover whether Saunders’ ghosts are present in some form within us, grasping at delusions, busy with resisting where they are headed, ethereal and strange and so in pain. To let go of our ghosts, of our habitual reactions to life’s inconstancy, is to let go of our mind/body/ego continuum. We stop putting the self in charge, and in that spacious place, we can ask ourselves, “What would it be like to just….BE here…. letting impermanence have its way with our physical existence, empty of concepts about who we are and where we are?” No longer turning toward the ego to guide us. No longer constrained by the limitations of what has been. Head cracked open. Surrendering to the fall. There are numerous words for this place in Buddhist thought: emptiness, groundlessness, don’t know mind. They begin to be more than words when dislocation happens and we allow ourselves to be opened into the spacious field of right here, awareness of everything held in an open heart, a still mind. Like emerging from a dense forest into a clearing, when for precious moments everything stops. Right here in the clearing is the key to leaping clear of impermanence, leaping clear of every undulating, wave-crashing bardo known as change. Here. Now. Just. This. Standing still in the open light of clarity, without generating the next move. No push to create a new concept, an old identity. Just this open field surrounded by forest, before anything else is born, initiated, conceived, created. This moment, unshaped by human desire. An instant ticket out of bardo hell, and into the undying, uncreated, unchanging Nirvanic emptiness of our spiritual hopes and dreams. When the ghosts in Lincoln in the Bardo surrender what they “know,” let go of that to which they cling, they dissolve upward, out of the almost-dead bardo. Whatever world they created around them dissolves too, as its organizing force, the ghostly minds, are now transformed. As a reader, I was relieved that their suffering was over, that they had finally surrendered. I realized that I trusted in their surrender, I wanted this for them. To come out of the limitations of our knowing minds, into the clarity of the clearing, is to find our way home. This is the refuge within uncertainty, and when we find it, we too leave the bardo and are re-born. Learning to trust this ultimate truth, learning this surrender: The Way of Wisdom.